During the housing boom years between 2000 and 2007, many cities saw an influx of new housing and new wealth into their core neighborhoods. It was a trend that was consistent throughout America as wealthier individuals looked to move back into the cities that had been abandoned in prior decades. This trend was more pronounced in some cities – Atlanta, Washington D.C., Denver, and Seattle – than others. But for the most part, the majority of the cities were gaining wealth relative to their regional average. Following the burst of the housing bubble, however, virtually every city saw this rate of improvement slow down. According to research from the Federal Reserve Bank of Cleveland, the majority of 59 cities studied now fall between either a one percentile decline or one percentile increase between 2007 and 2010. This is in contrast to the housing boom period which saw cities like Atlanta and Washington D.C. move up 8.7 and 5 percentiles respectively. The results of their research found that only a select handful of regions reasonably continued to see relative wealth growth in their principal cities. The findings also detected one region that bucked the trend and actually increased its gains over the housing boom period. “Another interesting case is Cincinnati, which barely changed in income ranking from 2000 to 2007 but has increased at a pace similar to Denver or Washington during the 2007 to 2010 period,” the research team noted. 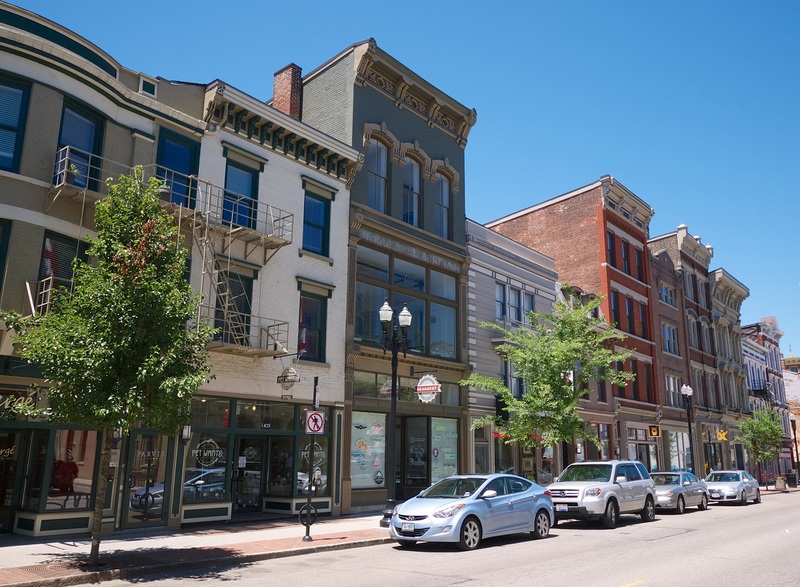 Hints of such activity were realized in December 2013 when UrbanCincy uncovered that census tracts all over the city were experiencing wealth increases. While the gains in wealth may seem like a positive thing for the city, not everyone is so thrilled about the changes taking place in Cincinnati. One of the tools in order to prevent the displacement Haap mentions from happening is including ‘set asides’ in new developments for affordable housing. The Cincinnati Center City Development Corporation (3CDC) has done this a bit in Over-the-Rhine at projects like Mercer Commons and Bremen Lofts, but there is no official city policy or requirement to do so. What also factors into the relative changes studied by the Federal Reserve Bank is the widespread poverty and low income levels of those living within city limits. Thus, even nominal improvements would show up as a potentially significant increase. We do know, however, that some housing prices, particularly in the city center where demand is highest, are starting to get out of hand. Most new apartment developments in the Central Business District now feature rents of $2,000 or more per month, and in one recent case, a three bedroom flat on Sixth Street rented for a whopping $4,600 per month. In such cases it is leaving many now wondering if these prices are not only driving out existing residents but, paradoxically, also preventing many new potential residents from moving in.